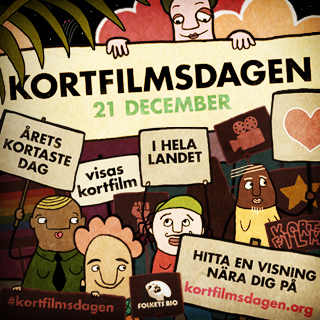 Posters, ads and banners (and vignette!) 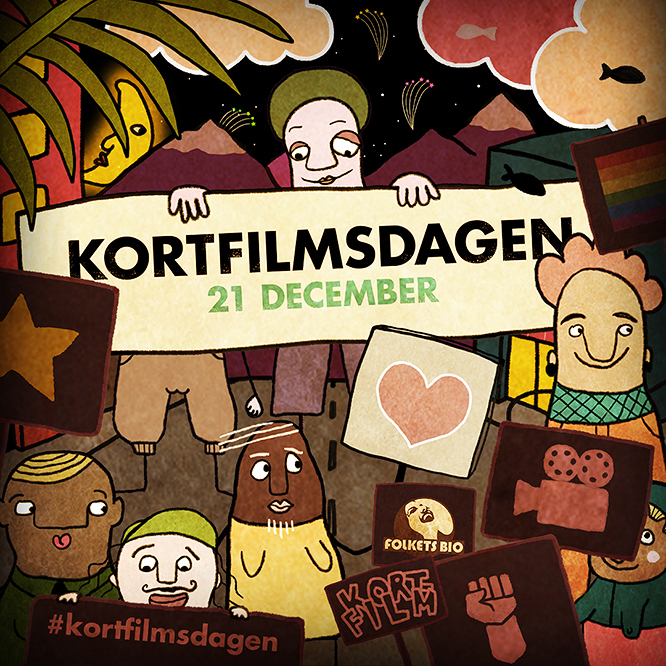 for Kortfilmsdagen 2018 (Short Film Day). December 21 is the shortest day of the year. 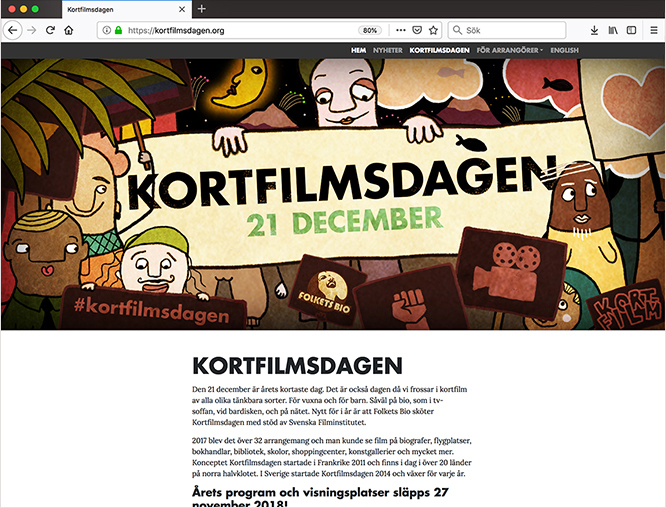 This is celebrated across Sweden – and across the whole northern hemisphere – with screenings of short films at cinemas, on TV, at bars and online. 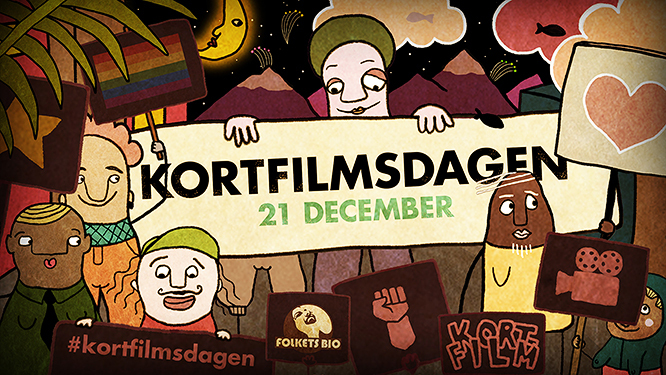 Client: Folkets Bio. 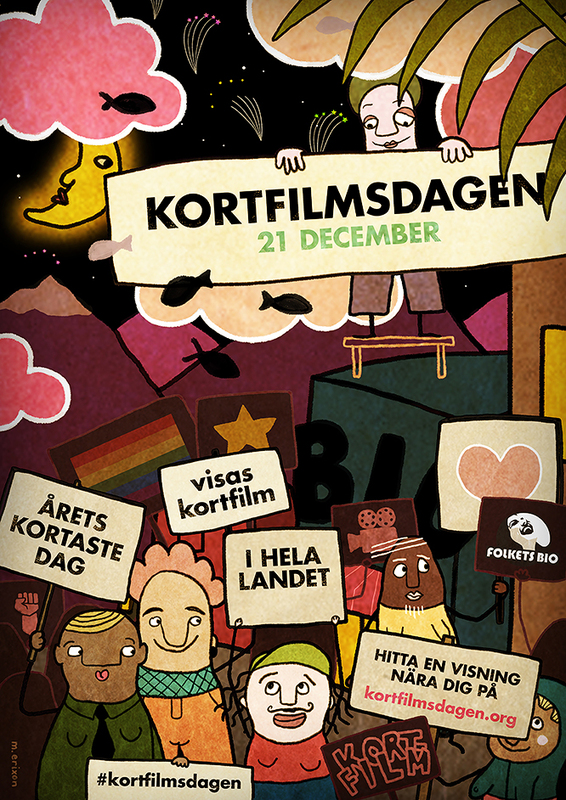 POSTER 2. 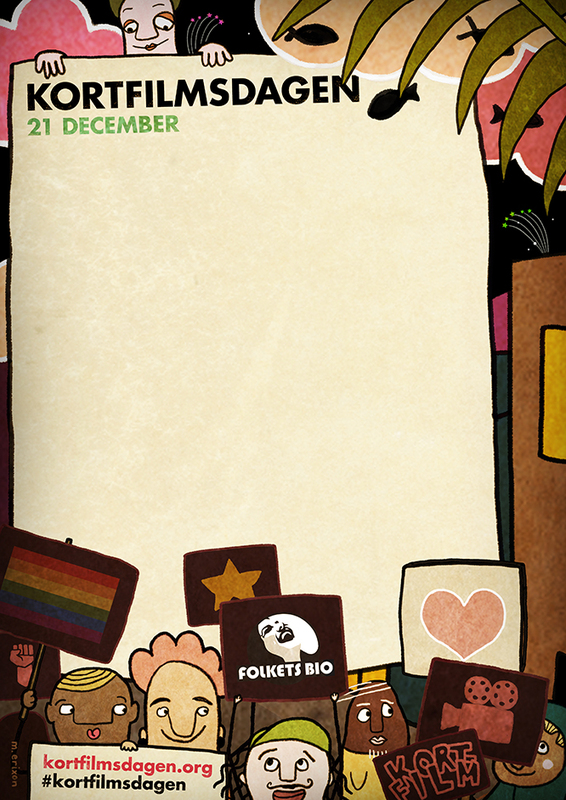 Fill in your own events.